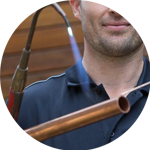 Looking for a Plumber in Hampstead? Give the Handy Squad a call today! 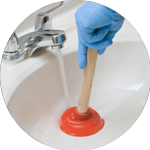 Our professional London plumbing team has been unblocking toilets, installing new showers and repairing leaking taps since 2005, so you can be rest assured that you will be in safe hands. 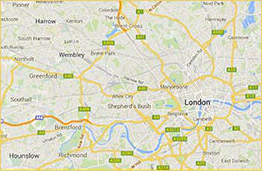 Our team can be seen all over London in their yellow scooters ready to help with your plumbing needs, so why not give your local Hampstead Plumber a call? Also known as Hampstead Village, Hampstead is part of the London Borough of Camden and is best known for its artistic roots and for Hampstead Heath. Some of its neighbourhood areas include the boroughs of Islington, Haringey and Westminster. Hampstead High Street is at the heart of Hampstead and is full of shops, cafes and restaurants. Hampstead Heath, London’s largest ancient parkland, provides panoramic views of the city from Parliament Hill. 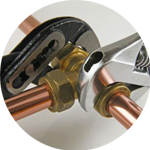 No matter your plumbing issue, we will be at your door in no time. 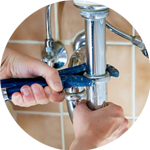 Our London Plumbers can deal with all sorts of plumbing jobs, from defective radiator valves to white good appliance installation. In the event you require a more general London Handyman, the Handy Squad can cover all of your handyman needs – our team can build and fit shelves for you to organise your favourite books; our electricians can change those hard-to-reach lightbulbs; perhaps you need a second pair of hands with your flat pack furniture, we can help with that too. Give us a call on 0800 012 12 12 or request our services by filling out our Online Booking Form.